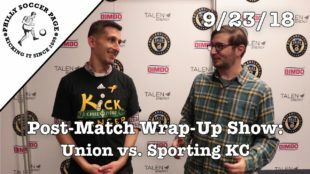 Check out PSP’s video content from Philadelphia Union’s 2-0 win over Sporting Kansas City. Thank you for watching! Make sure you subscribe to our YouTube channel to receive up to-the-minute notifications for when we post a video or go live. Author: Ryan Griffith Ryan Griffith is a videographer for the Philly Soccer Page and a college student in central Pennsylvania.